Assange carried by London police out of Ecuadorian embassy, where he has taken refuge since 2012. Julian Assange, the editor of Wikileaks, was arrested on Thursday morning by officers from the Metropolitan Police Service (MPS) at the Embassy of Ecuador on a warrant issued by Westminster Magistrates' Court on 29 June 2012, for failing to surrender to the court. He has been taken into custody at a central London police station where he will remain, before being presented before Westminster Magistrates' Court as soon as is possible. The MPS was invited into the embassy, following the Ecuadorian government's withdrawal of asylum. The Australian founder of WikiLeaks has sought refuge in the Ecuadorian embassy since 2012 to avoid being extradited to Sweden for investigation of sexual assault charges, of which he claims innocence. WikiLeaks reported late last Thursday night that Assange was being imminently expelled from the Ecuadorian embassy where he has sought refuge since 2012. However, Ecuador's foreign ministry published a statement on Friday night, denying the claims of Assange's expulsion, calling it "an attempt to stain the dignity of the country." 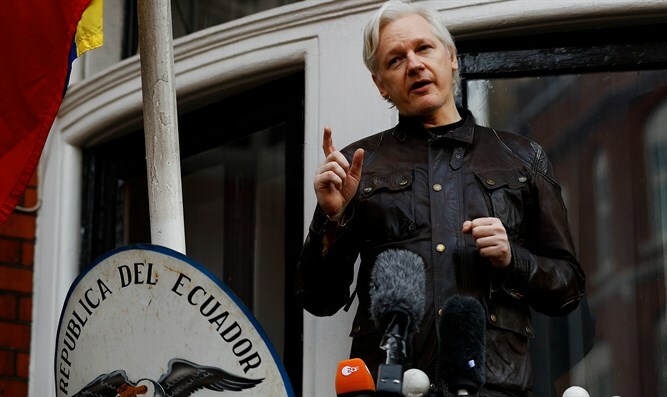 Ecuador “categorically rejects the fake news that has circulated recently on social networks, many spread by an organization linked to Mr. Julian Assange, about an imminent termination of the diplomatic asylum granted to him since 2012,” the statement said. “By releasing information that distorts the truth, [Assange] and his associates express once again their ingratitude and disrespect to Ecuador." The foreign ministry added that Ecuador has filed a complaint to the United Nations over Assange's "illicit publications." "Mr. Assange has rights but also obligations to comply with," the statement said. "No person under the jurisdiction of Ecuador is above the Law." Moreno cast blame on WikiLeaks earlier last week for spreading reports about corruption charges against him as well as publicizing family pictures on social media.